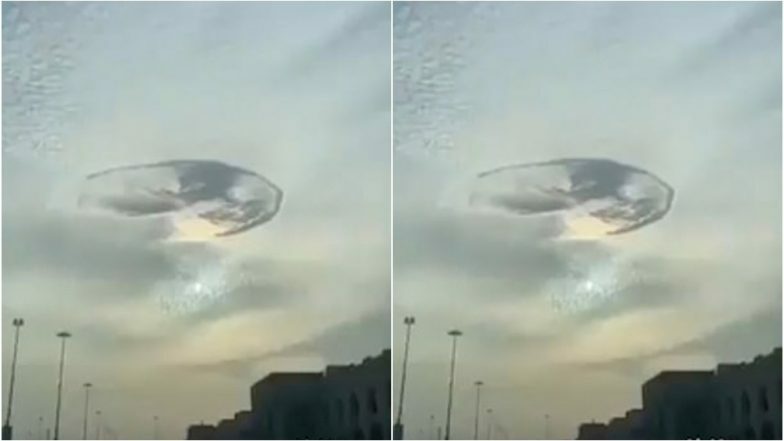 Citizens in the UAE were left perplexed on seeing a hole in the skies above Al Ain. Locals said that a mysterious 'whirlpool hole' appeared in the sky this weekend. The incident got social media talking after astronomer and meteorologist Ebrahim Al Jarwan posted a short video clip of the hole on Twitter. He referred to the sight as 'rare and beautiful' and that it was a 'Fallstreak hole' or 'hole punch cloud'. A change in temperature makes the supercooled droplets to freeze and form ice crystals. They are large and fall from the sky in a different pattern. At times, holes in fallstreak formations can expand upto 50 km across within an hour as neighbouring droplets freeze. The incident is completely a scientific phenomenon but people generally mistake it for a UFO. Fallstreak holes are quite rare and not often appear in the skies.